Lost Alone: Zombie Land is an interesting horror game which is made by Faramel Games. In this game, you play from the first-person view. 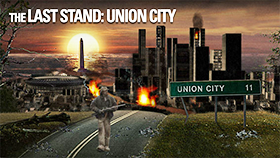 You are trapped in the zombie city and now you have to fight for your life. 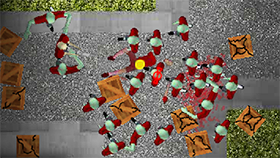 There are many different zombies and they are very fast, and you have to kill them all. In each level, you have to kill all the required zombies to access the next level. But first, you have to find some weapons and HP items on the map. You can check the mini-map to see their locations. And when you are ready, the waves of zombies will come to kill you. There are many cool weapons for you such as a chainsaw or a fire machine gun. This game brings you an awesome 3D graphics, great effect and cool sounds while it is only a web game. So how many zombie waves you can pass? Good luck and have fun! Press left mouse to shoot. Press F to pick up items. Check the mini-map for your useful weapons and HP Kits. On the top right of the screen is the number of required zombie that you have to kill. Choose a good position to kill these zombies. If you want to try Lost Alone: Zombie Land, just visit the site Freegames66.com and the Lost Alone: Zombie Land Unblocked is yours. 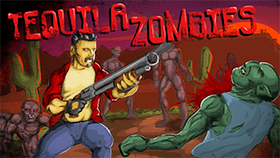 On our site, you can play thousands of quality unblocked games like Lost Alone: Zombie Land, and all are free. Check it out!